While Babe Ruth and Lou Gehrig cleaned up at the plate, Combs set the table. 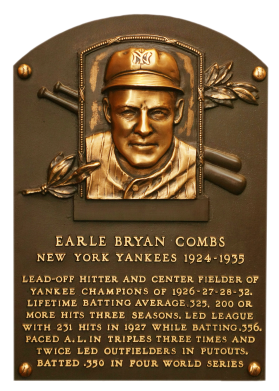 As the leadoff man and center fielder for the New York Yankees, Combs scored 100 or more runs in eight straight seasons. "The Kentucky Colonel" had a lifetime .325 average and scored 1,186 runs. A collision with an outfield fence in 1934 forced his retirement a year later. 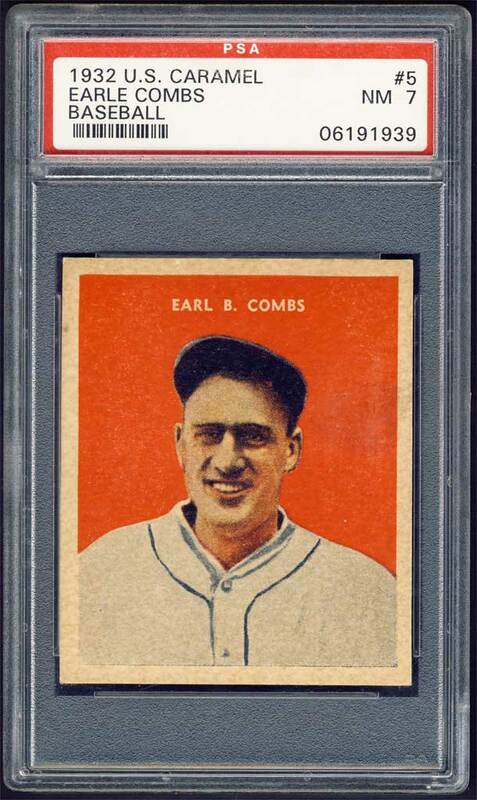 Comments: In December, 2002 I won a PSA 5 1940 Playball on eBay and upgraded to a PSA 7 in March, 2003. I owned the card a few months before finding a GAI 8 on Wayner Varner's Shoebox Cards website in November, 2003. I owned a few other 1940 Playballs including a Lajoie, Faber, and Averill so I decided to go with another issue and purchased a SGC 60 1932 U.S. Caramel card. In February, 2008 I upgraded to this beautiful PSA 7 in NM condition with terrific centering and minor caramel staining. 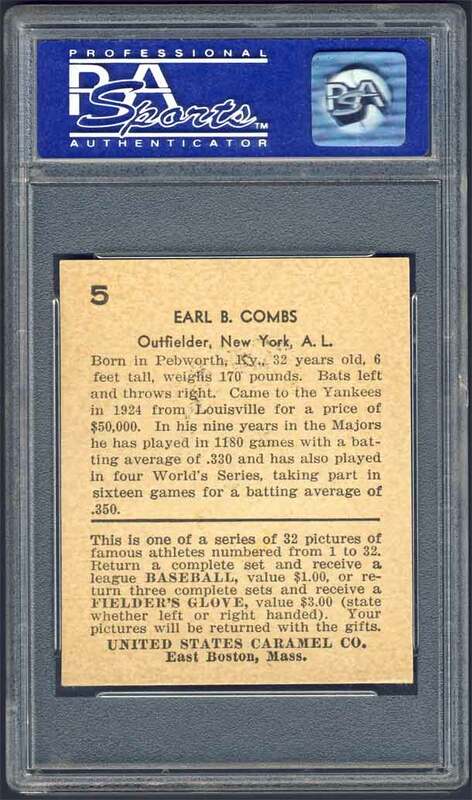 Description: Produced by a Boston confectioner, this set is not limited to baseball, but is a set of 32 "Famous Athletes" of which 27 are baseball players. The 2-1/2" X 3" cards have a black and white picture on the front with a red background and white border. The player's name appears in white above the picture. Backs feature the player's name, position, team and league as well as a redemption ad and card number. 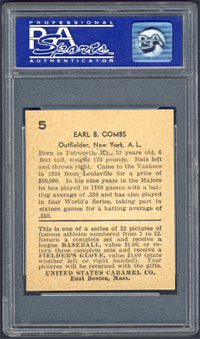 The cards were among the last of the caramel card sets and are very scarce today. The cards could be redeemed for a baseball or glove (see card reverse).